Hi to those who are interested in slapping some color onto those lifeless lips, this post may appeal to you. 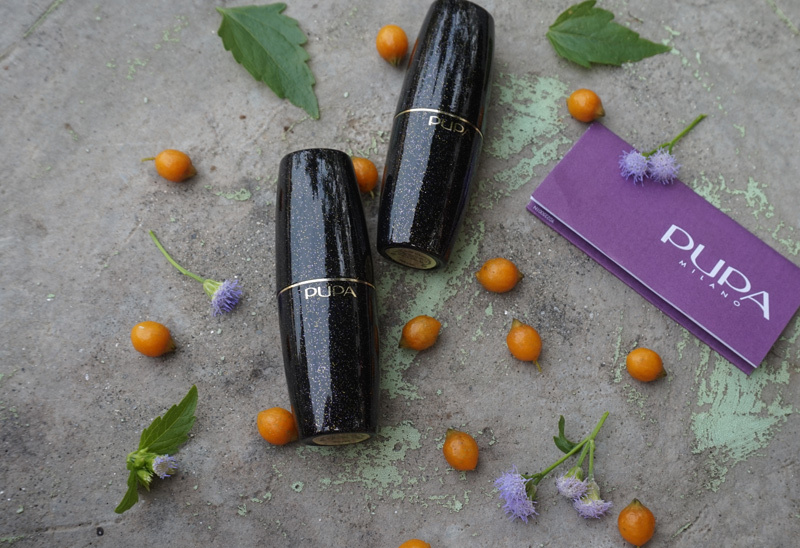 This is my first personal lipstick review ever and it’s on the Pupa Volume Lipstick in the color 502. This vampire red shade appealed to me personally that I didn’t even try it on as I am always OCD about anything being put on my lips from public counter tops. I’m your most basic makeup gal. The only makeup components I use are lipsticks, blush, eye and brown liner and eye shadow. Sometimes, I just don’t even bother unless I’m in the makeup mood. Anyway, mom got hers in Pupa Volume 501 which was akin to the classic RED and the only other color available was the vampy one that I just said why not as SASA had an offer going on at the time. And because mom wanted to buy something from a foreign lip label to try out for the first time, I couldn’t resist. My lips are the parched kind, a desert of sort without me imbibing a lot of water and putting on some Sugar Lips. The first thing I thought about when a lipstick purchase is on the horizon, will this settle in my wrinkly lips and make me ready for Halloween? Or will this make them lips plump and delicious everyone will mistake them for juicy fruit? 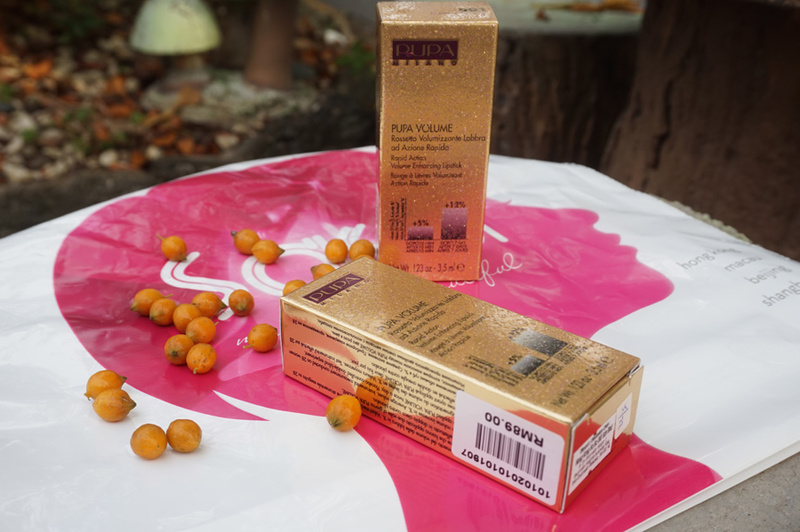 But of course, with the Pupa Volume, I had to give it a go for a few months. The first time I painted my lips with Pupa Volume, the instant the bullet touched my lower lip, I sniffed fragrance. Luckily, the scent was far from overpowering and it made me feel a tad fancy because wow, my lips smell like roses! I mean, naturally, I smell good (I’d like to hope so) but wearing Pupa Volume made me appreciate the subtle impact a scented lipstick could offer as it lifted my mood. This feature however can be tricky because not every human with noses love the same scent and if your scent of smell is extra sensitive, you should perhaps give this baby a good sniff before grabbing it. If you hate anything scented, then just calm down and say bye Pupa. And then, I eyeballed the mirror for my lip reflection to see how the lipstick spread on the pout. I saw and felt that it spread nicely with a high pigment game on the first layer of application itself that it can be used like a lip stain. Bear in mind I painted it on my lips without any Lip Sugar prep. It felt okay but after a while, I realized maybe I should have exfoliated my lips before this experiment. 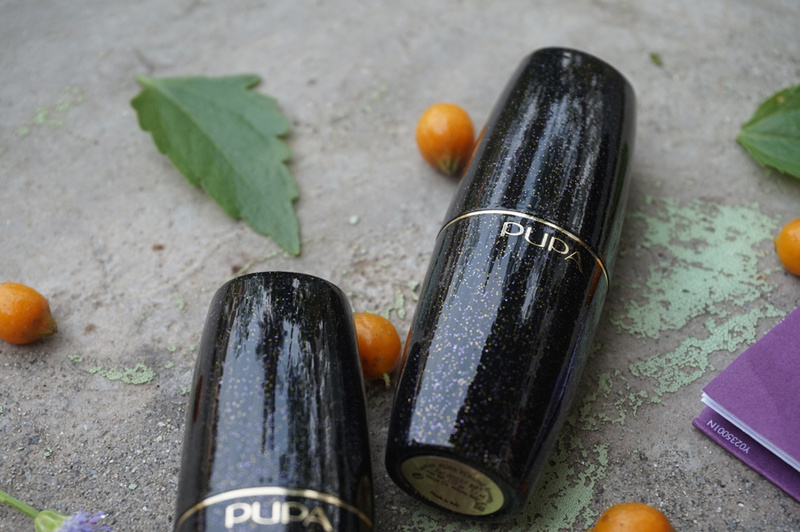 On non-exfoliated dry lips of any average human being, Pupa ain’t your friend and that’s alright. We can’t befriend just about anyone now, can we? As I was admiring the dark red lip color, I knew that this shade will appeal to vampires only. Those who love a good wearable low-key red for daytime use at the office or settings that prefer subdued lips, reserve Pupa Volume Number 502 for usage taking place from dusk to dawn. I for one love a broody dark lip color for that murderous impact so I mind NOT at all. What I did mind after months of wearing the lippie was that besides it settling on the lines on the lips, the formulation got flake-y that I had to use my fingers to wipe them off to avoid looking like I had diseased lips. Perhaps, I had to exfoliate more but I swear I had done so. I’d like to think that on my heaty lips, somehow the high temps cooked the lippie. On my mom’s much cooler lips (temperature-wise), she didn’t experience such a thing. Being someone who is into affordable lipstick that doesn’t flake, I feel, this could be improved by Pupa as at its price point (RM 89), I expected no such issue. But it could be that it's just my alien lips. I recommend Pupa Volume 502 to those with a love for the broody red vampire lips preferably with a cold body temperature to match. For those budget vampires with high body temp, just say nah! I’m using it as a lip stain as it’s got strong staying power in comparison to the Avon, Catrice, Revlon and Maybelline lippies I wear. BTW, Catrice Merl’ Oh! matte lipstick which I thought was going to flop on my parched pout was actually brilliant. Mom’s lips, however, did not appreciate the formulation (of Catrice matte lipstick) as she said it was too drying for her. With that said, I let you decide for yourself whether to give Pupa Volume a try as no two pouts are alike. Anyway, here is my before-and-after photo to show you that I sucked at lipstick review because apparently, I realized the color is more purple blue that I had thought. But that's still a great color for vampires. The selfie photos were taken from Samsung GS2 mobile. 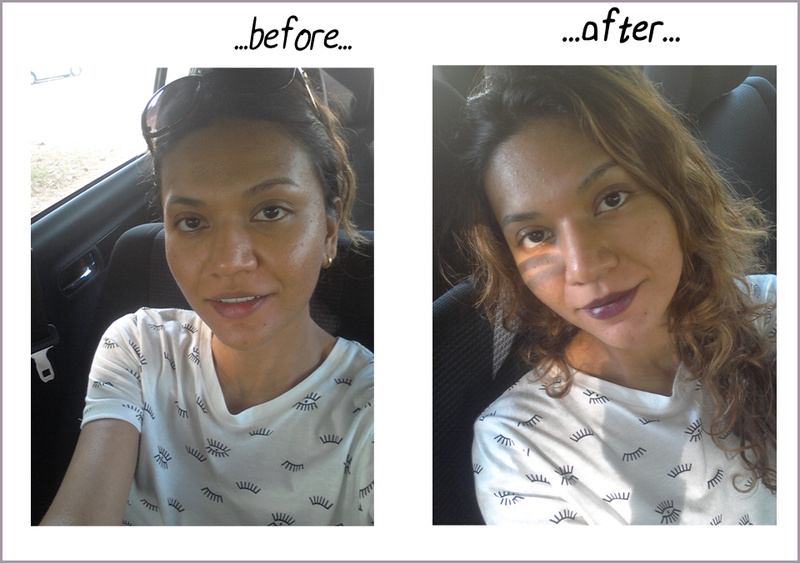 I applied two layers of it when I was bored in the car and found out how very gothic purple the color is. This lipstick claims to be volumizing but so far, on the desert lips on mine, I’ve yet to notice this effect. 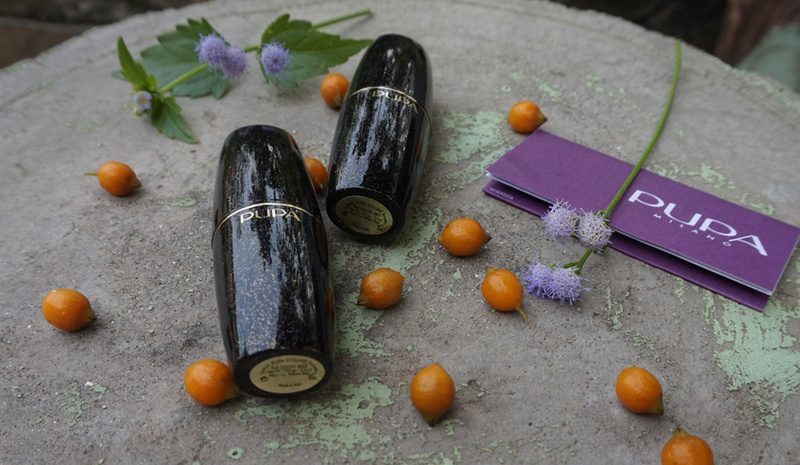 Not a fan of getting my lips juicier than they already are, I will say that their packaging is pretty chic and the lipstick comes in a gorgeous glittery and secure tube. Well, that’s it folks. 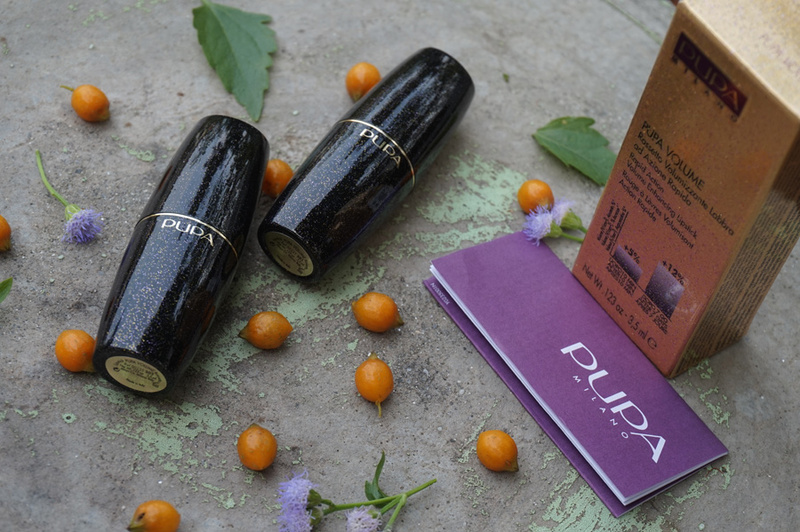 Do you happen to wear Pupa lipsticks? What do you think of them and what’s your favorite shade? 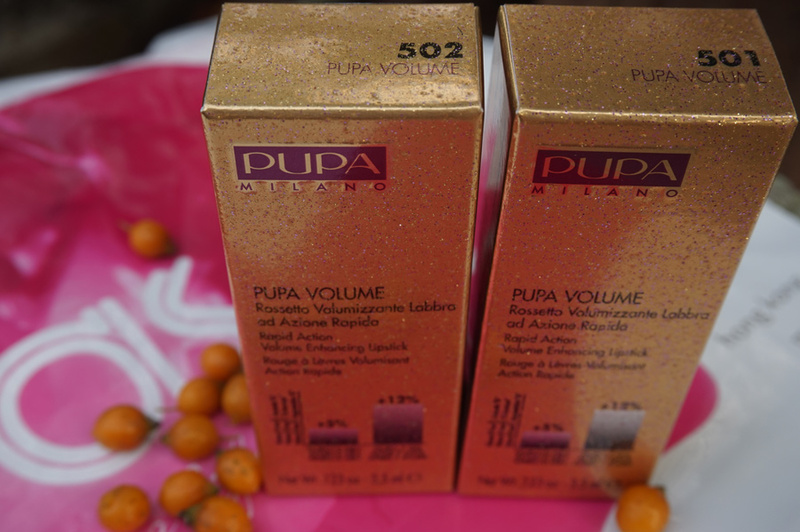 Pupa Milano did not sponsor this highly scientific and exciting review of their product.